Dozens of Iraqi Christian families have fled their hometown of Mosul after Islamist hardliners gave them a choice of converting, praying, or dying. This treatment has been denounced by influential Islamic scholars. Fleeing Christians described being stopped by gunmen on the outskirts of the city and robbed of their possessions, suggesting the militants were implementing an order for Christians to leave behind everything they had. That was the final straw for many, including Zaid Qreqosh Ishaq, who was forced to flee with his family. “We had to go through an area where they had set up a checkpoint,” he said. 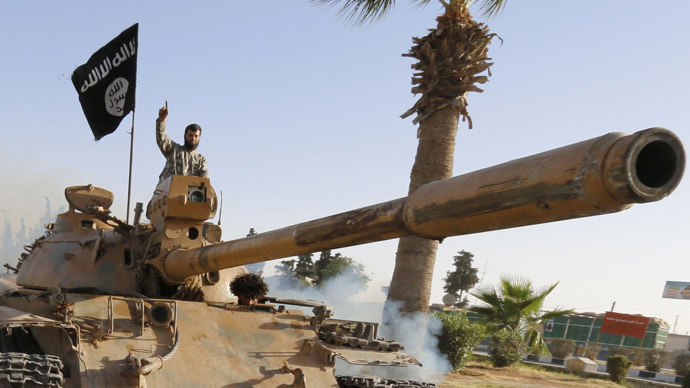 Islamic State group militants “asked us to get out of the car. We got out. They took…our things, our bags, our money, everything we had on us,” he told AP. With nothing more than the clothes on their backs, Ishaq’s family fled to St. Joseph Church in the northern Kurdish city of Irbil. But they may be forced to move to camps that have been set up for the flood of Christians trying to escape the violence. 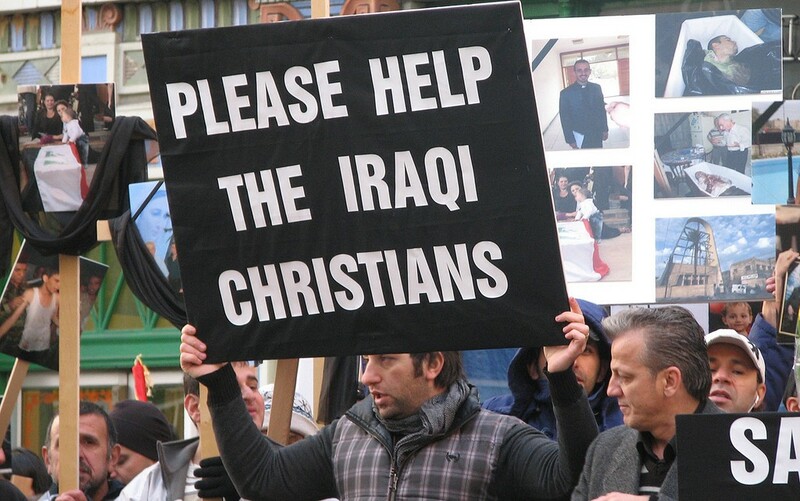 The Christian community has been living in the Mosul area for nearly 2,000 years. 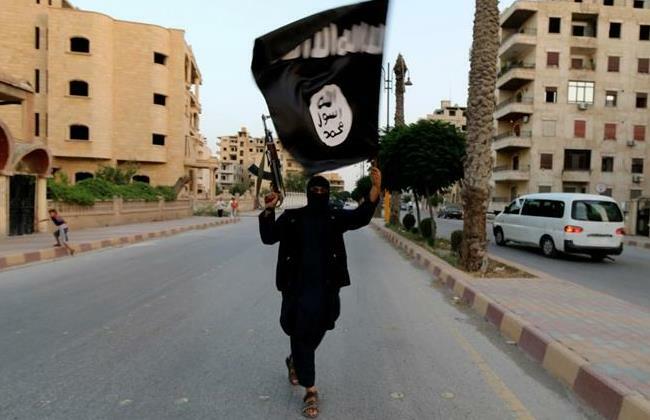 Now the city is under the control of Sunni militants from the Islamic State of Iraq and the Levant (ISIS/ISIL), who formed the Islamic State (IS) in the regions of the country they captured. The militants imposed a deadline last Saturday for Christians to convert to Islam, pay a tax, or face death. Such treatment of the Christians has led to criticism from moderate Sunni Islamists, including the International Union of Muslim Scholars. “The International Union of Muslim Scholars (IUMS) condemns the forced expulsion of the Christian brothers of Iraq from their homes, cities and provinces,” the group said in a statement posted on the website of its leader, the influential cleric Sheikh Youssef al-Qaradawi, on Tuesday. “These are acts that violate Islamic laws, Islamic conscience and leave but a negative image of Islam and Muslims,” the group added. While Israel ramped up its offensive in Gaza on Sunday, with appalling loss of life and injuries, 1,200km to the north-west in Iraq a different, but hardly lesser, tragedy was under way as the Christian community of Mosul poured out of the city where they have lived for 1,600 years in search of refuge. The organisation we are invited to call the Islamic Caliphate (Isis) possesses the virtue of clarity, if nothing else. Hitler’s genocidal plans for the Jews became public knowledge only years after he came to power. The Soviet gulags were for a long time shrouded in secrecy. But Isis has never made any bones about either means or ends. The ends: to establish a worldwide Islamic state based on the most reductive and intolerant version of Sunni Islam. The means: the elimination of everyone who believes something different and refuses to convert. Since their capture of Mosul on 10 June, these fanatics have wasted no time slaughtering large numbers of brother Muslims who follow the Shia tradition. They boast of having “executed” 1,700 Shia soldiers n the town of Tikrit. But there was no reason to suppose they would look more benignly on other types of “infidels”, and now they have turned their attention to the remnants of the other communities that until recently made Iraq a rich patchwork of ancient beliefs. So it was that on Friday the Christians of Mosul, a community of thousands settled in the city since the early days of Christianity, were given 24 hours to either convert or face the sword. A third alternative was to pay jizya, an Islamic tax historically levied on religious minorities. At times such as these it’s impossible for Muslims and Jews living outside the Middle East not to be affected by the Israeli-Palestinian conflict in their relationship to each other. Those living far from the scene often hold even more extreme views than those in the region. Others believe that they can make peace there by acting here. Shai Har-El, businessman, scholar and rabbi is among the latter. His book, Where Islam and Judaism Join Together, argues contrary to received wisdom that religion doesn’t fuel the conflict but is potentially “a catalyst for action in the battle for peace in the Middle East.” With this in mind he founded the Middle East Peace Network in 1990 and has since also helped to establish the Center for Middle Eastern Studies at the University of Chicago. In a recent interview Dr. Har-El, who was born in Israel and holds degrees from the universities of Tel Aviv and Chicago, outlined his plan that notwithstanding its political agenda would harness the religious forces that make for unity and tolerance in the service of a lasting peace between Palestinians and Israelis. But despite his seemingly good intentions, his efforts don’t appear to have had much of an impact. His utopian desire to temper politics with religion isn’t unique. For example, theLevantine Cultural Center in Los Angeles, which was launched more than a decade after the Middle East Peace Network, seems to have a similar agenda. In addition to its religious base it promotes intercultural activities and political discussions that include criticism of Israel and Zionism. As a result, Jewish mainstream organizations have kept their distance and it’s not clear to what extent Islamic groups have embraced it. Again, the effort may be praiseworthy but the results seem meagre. The proposed House of Prayer and Learning in Berlin aims to be very different. Instead of seeking to solve the conflict in the Middle East, its stated purpose is to establish good relations between Jews and Muslims locally. While respecting religious differences, it stresses the fundamental similarities between the monotheistic faiths. The dialogue it promotes seeks to mirror the multiculturalism of the German capital. 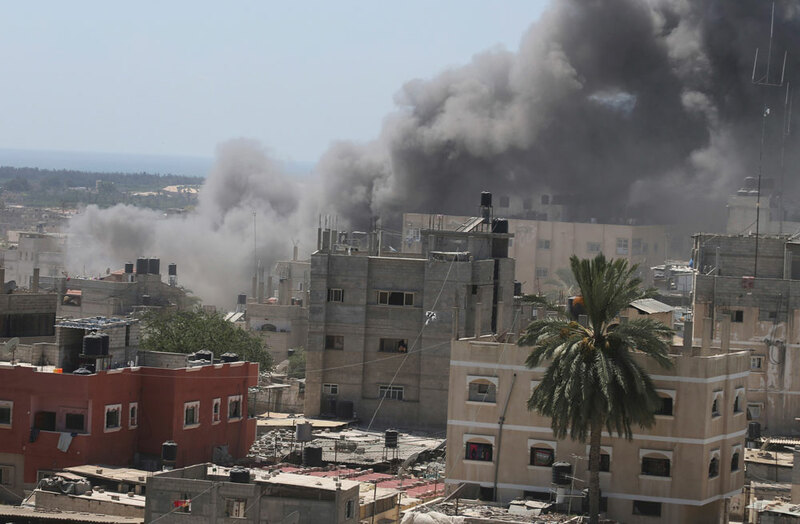 Smoke rises following what witnesses said was an Israeli air strike on a house in Rafah in the southern Gaza Strip July 14, 2014. Israel said it shot down a drone from Gaza a week into its offensive on Monday, the first reported deployment of an unmanned aircraft by Palestinian militants whose rocket attacks have been regularly intercepted.Al-Mezan, a Gaza-based Palestinian human rights group, said 869 Palestinian homes have been destroyed or damaged in Israeli attacks over the past week. More than 166 Palestinians, most of them civilians, have been killed, Gaza health officials said, in seven days of fighting that has shown no sign of ending. 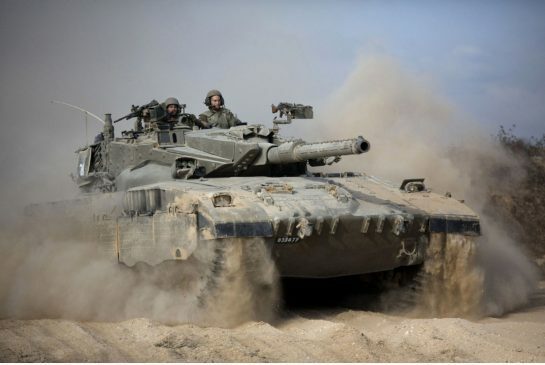 Israel says its offensive is intended to halt rocket fire at its cities from the Gaza Strip. 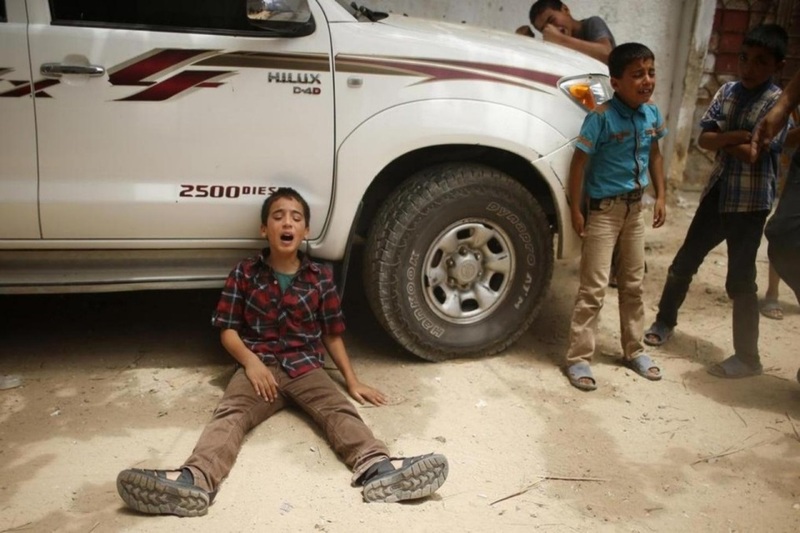 Muslims, Jews and Christians across the globe designated Tuesday as an international day of fasting to encourage peace between Israel and the Hamas-ruled Gaza Strip, as the two areas continue to exchange rocket fire in the wake of the death of three kidnapped Israeli teens. Tuesday falls as a fasting day for both Muslims and Jews, as it is the 17th of the month of Tammuz on the Hebrew calendar, as well as the month of Ramadan, where Muslims fast during daylight hours each day. The Twitter campaign and subsequent day of fasting began in Israel and gained momentum in the United Kingdom and the United States. Yachad, a pro-Israel, pro-peace group based in the U.K., was one of the main promoters of the international fast day. BEIRUT: Moderate and independent Lebanese Christian and Muslim figures Tuesday called for a Lebanon free from Hezbollah or the radical Islamic State of Iraq and Greater Syria (ISIS). Under the Wilayat al-Faqih doctrine, which was introduced in Iran after the 1979 Islamic Revolution, the supreme ayatollah, or highest religious authority, has final say in political matters as well.